Are the glory days over? Or are we in a position as a Community to defy these ominous predictions and define the future ourselves? Yes, Milestone, the glory days are indeed over. Your 'Community' can bang on drums at MIPS again to feel better but it will not change reality. 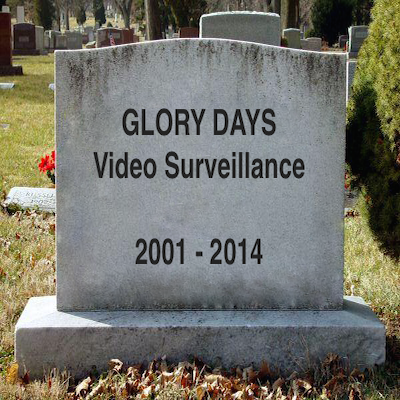 Undoubtedly, the video surveillance industry had 'glory days' that stretched from ~2001, with the rise of DVRs, and re-energized in ~2008 with the rise of MP cameras. But that is over now. The market is saturated with digital / network recorders and MP cameras. Even without the 'Chinese', the glory days would be gone. Of course, Hikvision and Dahua's race to the bottom has made things far worse for the industry. Indeed, Milestone giving away fully free VMS software and slashing prices on its mid tier VMS would not happen without that. $100 MP cameras, $300 NVRs, plus huge sales and marketing spend make it hard for the entire industry. While Hikvision and Dahua have certainly gained significant attention and even praise from the for-sale trade press, this is not glory days for China manufacturers either. Hikvision and Dahua are really in a starvation contest with themselves and their South China rivals (see Hikvision's most recent 40% price cut on kits). They have been willing to accept the continued price cuts given the flood of money inside of China but they are clearly not happy to do so, to which their execs privately admit. There is potential for 'glory' there but it only comes from bankrupting and forcing out most of their competitors, at which point the pressure to cut prices cease. The 'West' has not delivered a next big technology. There is no major value creating offering that would spur broad industry growth. DVRs were great and MP were great but what now? Video analytics and cloud are still far more hype than mainstream offerings. China has capitalized on that, making it difficult to grow in established areas, outside of the (unsustainable) flight to the enterprise that Axis, Milestone and most incumbent manufacturers are taking. Develop robust video analytics that are easy to use. Does Milestone have that? No. And it's not a scalable solution to make each user figure it out and piece it together with Milestone partners. And does Milestone have any real cloud offering? No. The China situation has no easy solution. China's economy may slow down enough that the Chinese manufactures change tactics or it may not and by the end of the decade most video surveillance manufacturers will be in ruins or gone, especially with the lack of innovation. Milestone should be commended for at least raising the problem. Genetec too has been frank about this, recall Genetec: gutting of mid and low end players coming. But contrast them to Axis, the largest and most powerful of that era's manufacturers, who loves to pretend everything is just super. "Hey Axis, your video revenue is declining" Axis: "Hey look over there at the pretty birdie!" "Axis you turned against your partners to save your top line." Axis: "Oh hey, let's eat cake and celebrate our birthday!" If one is to deal with problems, they first have to be publicly admitted. Milestone is right about 'end to end', and the losers, like Axis, greedily ripping each other apart for remaining shreds with 'solution' sales is not the solution. But the manufacturers need more than 'community', they need to develop real innovations. Comments (40) : PRO Members only. Login. or Join.